A big thank you to the great Saul Levine and my main man, Bubba Jackson for having me on-air and for being such tireless champions of this music 🙏🏻 I want to wish you all a very safe, joyous Thanksgiving week ahead with your own friends and families! Be sure to check it out on Amazon, iTunes/Apple Music and Spotify! What A Night! Thank you, Segerstrom! We did it! A huge thank you to the record-breaking 750+ people who came out to support our show at Segerstrom Center for the Arts on June 29th. I was living my best life up on that stage with this incredible band and was so grateful to meet so many of you afterwards! My sincere thanks goes out to KJAZZ's own, Bubba Jackson for inviting us to the party and Danny Escobar and his team at Segerstrom for ensuring everything went off without a hitch. We can't wait to return! Video clips from the show coming soon! See Matt LIVE at Segerstrom! SO excited to announce that the band and I will be headlining a very special show at Segerstrom Center for the Arts on Friday, June 29 in Costa Mesa!⛱🎷It’s Segerstrom’s inaugural FREE Summer Jazz Series on the new Argyros Plaza. Hosted by KJAZZ 88.1 FM's Bubba Jackson, we’ll be playing all your faves from ‘Solitary Man’ and ‘Coulda Woulda Shoulda’! The Plaza opens at 6pm with Ron Kobayashi’s Trio and Andrea Miller kicking things off at 7pm, followed by yours truly at 8pm. Bring your folding chairs and blankets for a great night of music under the stars!✨Food and drinks will also be available to purchase onsite from Center 360! Steve Tyrell at Catalina Jazz Club! Such a pleasure watching my good buddy, the Grammy award-winning Steve Tyrell crush it last night at Catalina’s in Hollywood.🎙 He showed us how it’s done and has never sounded better! Steve’s been a real champion of mine and his generous promoting only continued last night from the stage (which I’m indebted for!) Be sure to check out Steve’s terrific new album, ‘A Song For You’ 💿 out on @warnermusic and tune-in to his weekday show on KJAZZ 88.1 FM. Congrats, my friend! Just got word that the Dash Radio takeover for ‘Solitary Man’ is happening this weekend! You can hear the hour-long interview (with cuts from the album) on both their ‘Ratpack’ and ‘Swing!’ channels Friday, Saturday and Sunday (times listed below) Tune-in for FREE via dashradio.com or thru their mobile app. A big thank you to @markmoseley and the Dash crew for their amazing support! Air Canada: Come Fly With Matt...Again! 'Solitary Man’ takes flight this season on Air Canada flights worldwide! ✈️ You can stream the full album via their enRoute In-flight Entertainment under ‘Jazz/Blues’. Pick up your own copy today via Amazon, iTunes/Apple Music, Google Play and Spotify! 'Angel Eyes' has always been a favorite of mine. Written in 1946, it would become a hit for Frank and Ella in the '50s. Now 70 years later, we're taking it back to its 'noir' roots with this new arrangement by Callum Au… Watch the full video via the link below! From my new LP, 'Solitary Man' — co-produced by GRAMMY award-winner Nicholai Baxter (@lalaland) available on Amazon, iTunes, Google & Spotify. Happy Boxing Day! I recently had the pleasure of catching up with @nickfinzer on his ‘overHERE’ podcast from @outside.in.music. We talked about the new record, growing up in Canada and what might be next... You can listen to the full interview via the link below! My thanks to Nick and Outside In Music for the feature! 'Ringer of the Week' on Jazz Weekly! Very excited to learn that 'Solitary Man' is the "Ringer of the Week" on JazzWeekly.com! Here's an excerpt: "I said it before on his 2015 debut album 'Coulda Woulda Shoulda', and I’m saying it again after his new release 'Solitary Man'…this Matt Forbes is the vocalist that you want to discover. Forget the posers and TV personalities. Forbes mixes standards, pop tunes and obscurities and delivers them like Mariano Rivera on this album...this guy makes the standards stand out!" You can read the full review below -- a big thank you to George W. Harris for the support! This track may have been the last one we recorded for the album...but it ended up saying it all. 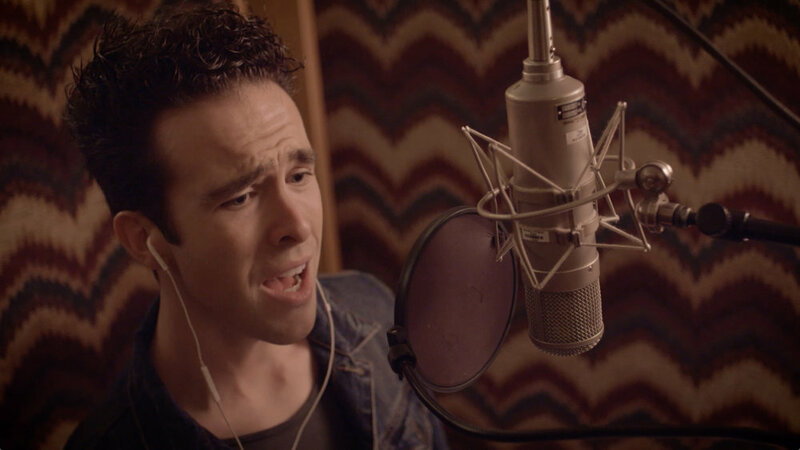 ‘Solitary Man’ — which Neil Diamond originally wrote for Bobby Darin in 1966 — gets unplugged and reimagined for 2017. The title track from my new LP, 'Solitary Man', co-produced by GRAMMY award winner Nicholai Baxter ('La La Land', Rufus Wainwright) Available NOW on Amazon (smarturl.it/meecn6), iTunes/Apple Music (smarturl.it/inizmr), Google Play (smarturl.it/fg1heb) Spotify (smarturl.it/5dyr4u) and in select stores -- Song & Script and L'Atelier Grigorian in Toronto and Amoeba Music in Hollywood. When love doesn't work out, the only thing you can do is bounce...! Here's an inside look at me and the band tracking, 'The One I Love Belongs To Somebody Else' at EastWest Studios and Igloo Music in Los Angeles. Callum Au really outdid himself on this new arrangement! From my new LP, 'Solitary Man', co-produced by GRAMMY award winner Nicholai Baxter ('La La Land', Rufus Wainwright) Available NOW on Amazon (smarturl.it/meecn6), iTunes/Apple Music (smarturl.it/inizmr), Google Play (smarturl.it/fg1heb) Spotify (smarturl.it/5dyr4u) and in select stores -- Song & Script and L'Atelier Grigorian in Toronto and Amoeba Music in Hollywood. A big thank you to the great Clare Teal who debuted my Bobby Darin-penned track, 'Rainin'' last night on @bbcradio2 ! (Be sure to tune into Clare's show every Sunday night for the best in jazz and swing!) From my new LP, 'Solitary Man', available NOW via Amazon (smarturl.it/meecn6), iTunes/Apple Music (smarturl.it/inizmr), Google Play (smarturl.it/fg1heb) Spotify (smarturl.it/5dyr4u) and in select stores -- Song & Script and L'Atelier Grigorian in Toronto and Amoeba Music in Hollywood. I just received word that writer Dutch Bickell was kind enough to review 'Solitary Man’ for the popular 'Canadian Beats' music blog. Being the subject, I won't say too much -- but I'm grateful to Dutch for the incredible support. You can read his full review via the link below. 'Solitary Man' is available NOW on Amazon (smarturl.it/meecn6), iTunes/Apple Music (smarturl.it/inizmr), Google Play (smarturl.it/fg1heb) Spotify (smarturl.it/5dyr4u) and in select stores -- Song & Script and L'Atelier Grigorian in Toronto and Amoeba Music in Hollywood. It’s officially release day (!) and I couldn’t be more excited to share this new album with you all — here’s a taste of the latest music video, U2's ‘With Or Without You’, featuring a George Martin inspired arrangement by Callum Au. My new LP, ‘Solitary Man’ — co-produced by GRAMMY award-winner, Nicholai Baxter ('La La Land', Rufus Wainwright) Available NOW on Amazon (smarturl.it/meecn6), iTunes/Apple Music (smarturl.it/inizmr), Google Play (smarturl.it/fg1heb) Spotify (smarturl.it/5dyr4u) and in select stores -- Song & Script and L'Atelier Grigorian in Toronto and Amoeba Music in Hollywood. Now Playing on KJAZZ & Sirius XM! 2nd Music Video Drops + 'Solitary Man' Enters Amazon's Top 10 Chart for Vocal Jazz!